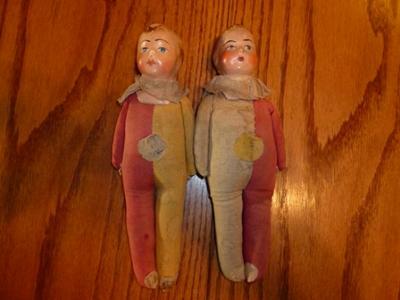 I found these two boy dolls and they look to be very old. There are no marks on either doll. 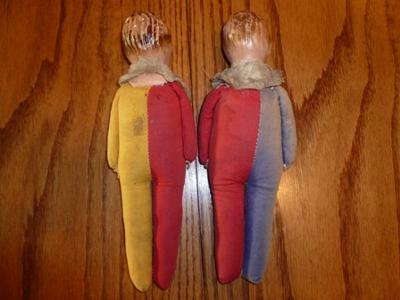 They are made of cloth with bisque heads (I think). 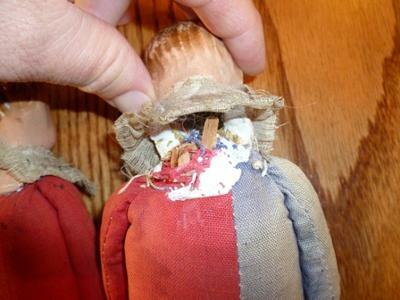 The arms are sewn to their sides, and they are firmly stuffed with wood shavings and I believe wool. That's about all I know about these two. Any information about their identity, origin, age, and value would be most appreciated. I just wanted to add, the dolls measure 9 inches tall.